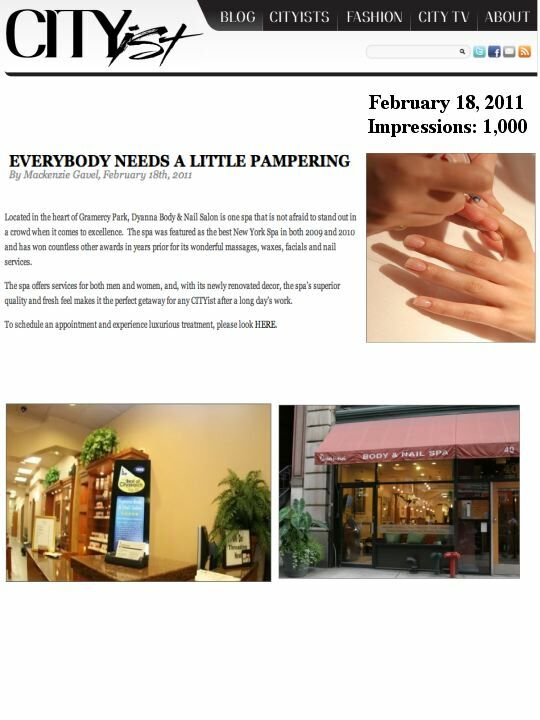 New York’s Dyanna Spa, Featured in Cosmopolitan Magazine December 2010 Issue! 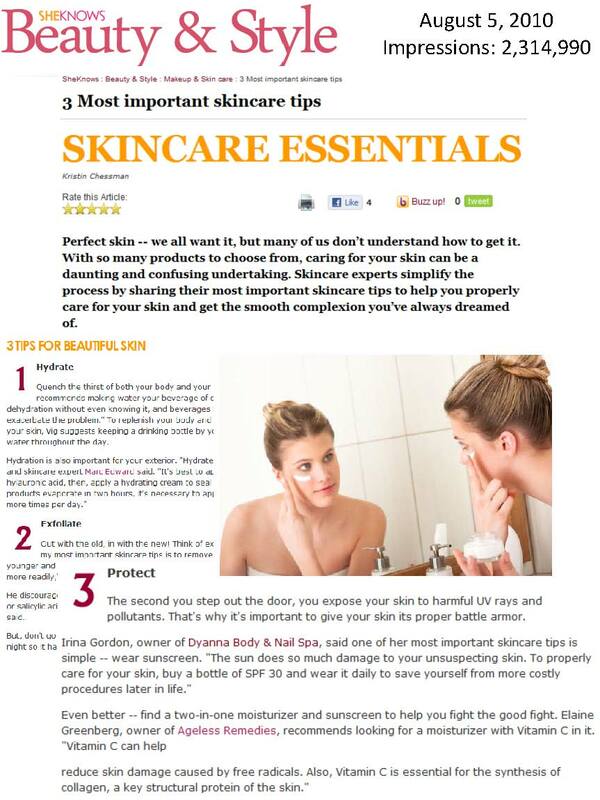 While not everyone can visit the award-winning Dyanna Spa in New York, now beauty lovers all across the U.S. can enjoy beauty tips from our fabulous Irina Gordon, owner of Dyanna thanks to her tip on avoiding facial puffiness featured in December 2010’s issue of Cosmopolitan Magazine. Check out this new feature of Dyanna in Cosmo below! Exclusive Interview with New York/NYC’s Best Spa- Dyanna Spa- Owner Irina Gordon on TheFashionSpot.com. Spending every day at a spa seems glamorous and relaxing, but there’s a lot more to it than meets the eye. Dyanna Spa‘s owner, Irina Gordon’s success didn’t happen over night, and it’s no accident that Dyanna Spa has been voted a Best of New York Spa, Best Spa in NYC for Waxing, Best Nail Salon in Manhattan, and 17 other coveted awards! A great deal of hard work went into making Dyanna Spa what it is today, and TheFashionSpot.com, has got the inside scoop on how Irina Gordon got involved in Dyanna Sp! Check out the full interview here: TheFashionSpot.com.